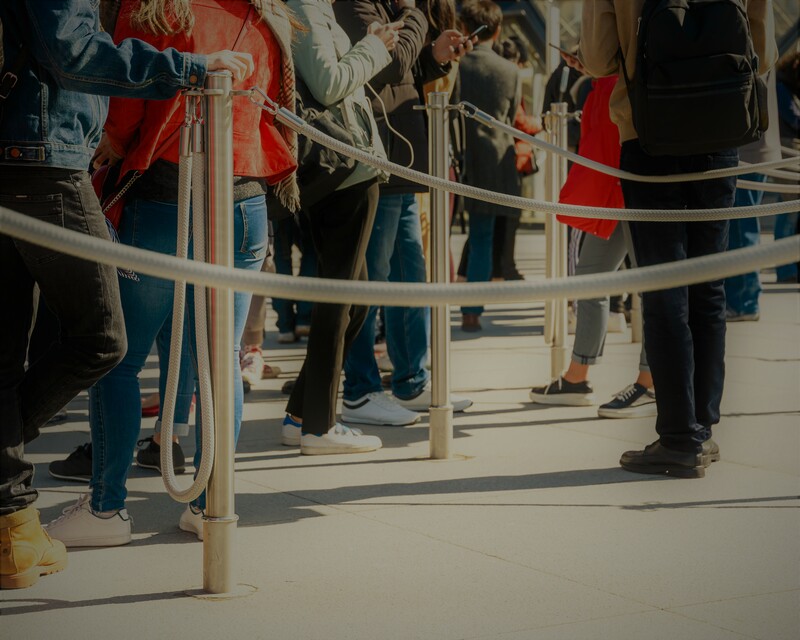 With a networked approach, security teams put facial recognition data into context, determine appropriate action, and locate the nearest personnel. Facial recognition — sounds like something you’d see in a movie like Minority Report. The truth, however, is that facial recognition is already being utilized in our world today, even if many aren’t aware of its presence. For example, Facebook uses facial recognition to help users in tagging friends in photos. Face ID is a newer feature in iPhones that allows users to unlock their phones through its recognition of the user’s unique facial characteristics. While facial recognition has proven to be an interesting addition to social media sites and personal cell phones, its primary — and more valuable use — has been in public safety. The cutting-edge technology offers obvious benefits to law enforcement agencies and security groups throughout the world. The potential of real-time results through facial recognition positions it as an ideal crime-fighting tool, empowering various agencies to quickly identify individuals, even in the most crowded of areas, and track down suspects or criminals with unparalleled efficiency. 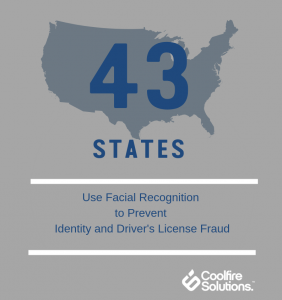 Forty-three states have used some form of facial recognition technology as a way to reduce identity and driver’s license fraud. Seven of those 43 states have adopted the system for driver’s licenses within the last three years. Recently, the Trump administration also expanded the use of facial recognition technology in major U.S. airports as a means to enforce border security and catch people involved in criminal investigations. As one of several methods of what are called “biometric” identification systems, facial recognition examines physical features of a person’s body in an attempt to uniquely distinguish one person from all the others. Similar to fingerprint matching, retina scans, and even voice recognition, facial recognition collects data – in this case, someone’s face – and compares it against existing entries in a database of other facial images. 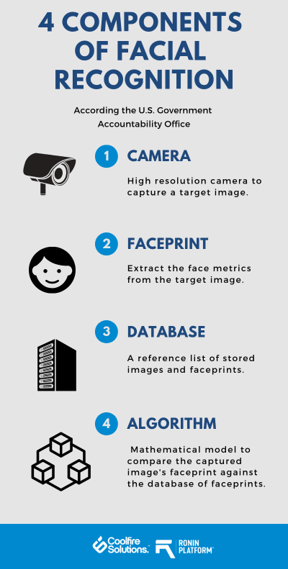 According to the U.S. Government Accountability Office, there are generally four basic components to a facial recognition technology system: a camera to capture an image, an algorithm to create a faceprint, a database of stored images, and an algorithm to compare the captured image to the database of images or a single image within the database. 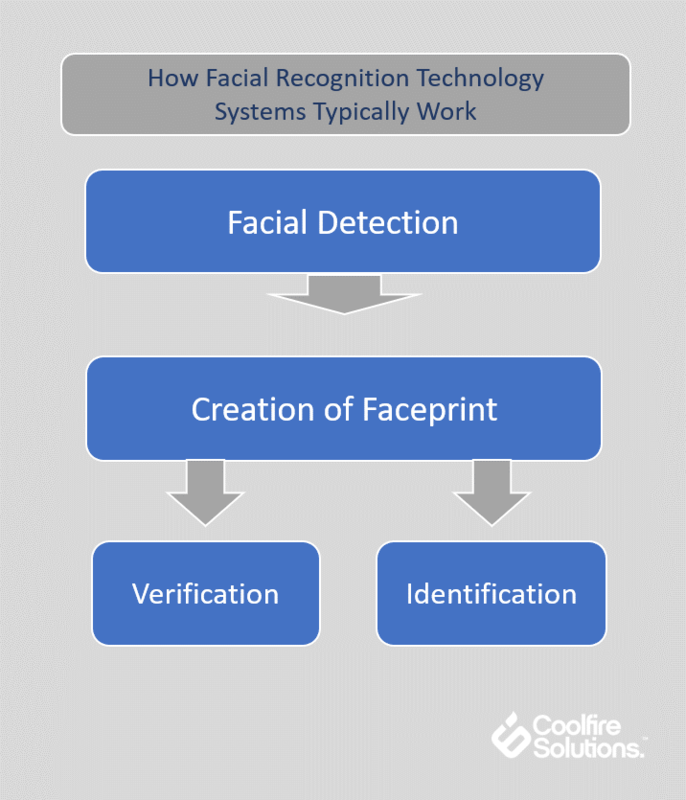 Typically, there are three steps to facial recognition: detection, faceprint creation and verification or identification. The system extracts patterns in an image and compares them to a model of a face. If the patterns are similar, the system assumes there’s a face in the image. In order to create a faceprint, the system uses its algorithm to put the face in a preset position and chooses from a variety of approaches to ultimately create the print. Skin texture analysis: Maps the unique placement of pores, lines and spots on an individual’s skin. Both verification and identification play an important role in the facial recognition process. Verification evaluates two faceprints against one another to produce a single score value that represents the degree of similarity between the two faces. A person’s facial image is compared to a stored faceprint for that person. Identification, on the other hand, varies slightly as it compares a single person’s facial image to a database of multiple stored faceprints. Facial recognition technology advances every day, prompting several law enforcement agencies to use the cutting-edge system as a means to fight crime. Currently, the Orlando Police Department is conducting its second round of testing of facial recognition software, utilizing Amazon’s Rekognition facial recognition software. As a part of the pilot program, only images of Orlando police officers who’ve volunteered for the pilot will be used in the testing. Video streams will only be taken from city cameras at four locations and no facial recognition technology will be used in an investigative capacity at this time. The Sheriff’s Office in Washington County, Ore., also uses Rekognition. The Amazon software helped the department index more than 300,000 photo records within 1-2 days and suspect identification time has been reduced from multiple days to just minutes. It also helped identify a suspect in a cold case, which eventually led to an arrest. Facial recognition software has played a role in major investigations in many of our nation’s largest cities such as the capture of an arsonist in New York City. Like other point solutions, facial recognition provides critical data to security teams. By itself, however, this data only represents one piece of a much larger puzzle. The fact that an individual was at a specific place at a specific time must be connected with a larger data ecosystem that includes sources like persons-of-interest databases and personnel location maps built from real-time sensor recordings. 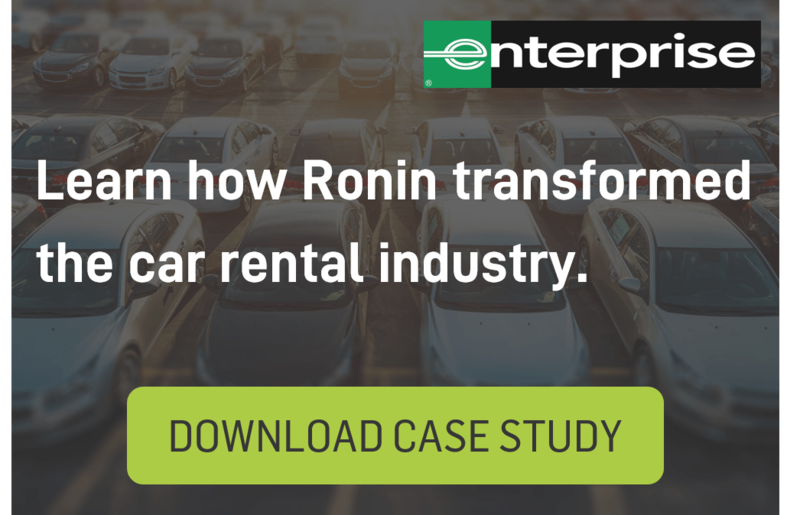 By using this networked and comprehensive approach, security teams can put facial recognition data into context, determine whether action should be taken, and locate the nearest personnel for the job. A truly connected security system with integrated facial recognition technology ensures the right data gets in the hands of the right people. Then, the right action can be taken for a proactive, preventative approach to mitigating potential threats before they take place. Stay on top of the latest Facial Recognition news.